Cynthia is available for Clairvoyant Psychic Reading. 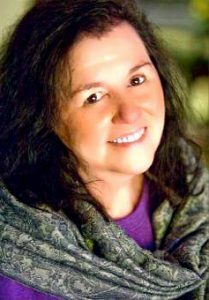 Her clairvoyant psychic readings are accurate, uniquely practical, and down to earth. Cynthia approach to clairvoyant psychic ability makes her phone readings as powerful as her in person psychic readings. Her healing skills, teaching abilities, and accuracy have won her international recognition. Cynthia gives clairvoyant psychic readings for people from all parts of the world seeking accurate answers and guidance through the convenience of a phone reading. Cynthia can tell you what’s accurate. She can tell you what is stopping or blocking you and where it’s coming from. And she can show you how to change it! A spiritual psychic reading, Cynthia is considered by many to be one of the true spiritual psychics in America. A spiritual psychic reading does not mean religious. A spiritual psychic reading is not necessarily affiliated with any particular religious beliefs and is able to respectfully work with you and any set of beliefs you have. Cynthia’s Spiritual Psychic readings have a spiritual and healing quality to them. Many people report feeling a spiritual psychic connection beyond words. With a true psychic spiritual reader you may experience a deeper connection, sometimes difficult to put into words. What you are getting is often much more than just the clairvoyant reading information. The insights can release blocks. The words themselves are healing. The entire experience can often transform situations in life that had seemed insurmountable. It is best to follow your instinct. Contact the spiritual psychic that feels right to you. If it feels right, click the “BOOK NOW” button below to schedule a spiritual psychic reading with Cynthia. If it doesn’t feel right, don’t schedule an appointment today. Take some time to think about it and wait until you are comfortable with your decision before you schedule your appointment. If you choose to experience a psychic spiritual reading with Cynthia it is easy and fast to schedule on line. But feel free to contact us anyway you like. A phone psychic reading is just as accurate as an in person psychic reading. Phone psychic readings save you time, travel and gas expense. You will get an accurate spiritual psychic reading either way. Feel free to click the link below to schedule your phone psychic reading today. Relaxation has a great deal to do with how much information you receive in a psychic reading. When both the psychic medium and the client are relaxed, clairvoyant psychic information comes to you much easier and with more clarity. Skip the commute and receive a spiritual psychic phone reading in the comfort of your own home. When a clairvoyant psychic gives you a phone psychic reading, she is seeing and hearing psychic information as well as feeling energy. Over the phone, a psychic cannot read your body language or guess information based on your appearance and responses. A clairvoyant psychic must tune into your energy and connect with your higher self. On the phone a clairvoyant psychic can only get information directly from Psychic Energy. When you are sitting face to face with a psychic, their brain might pick up clues from you and the environment in and not be able to consciously sort that out. Some disreputable psychics actually do this on purpose in order to tell you what you what you want to hear or to manipulate you in some way. Our brains are wired to categorize people, places, and things, based on past experiences. When a psychic is face to face with you, their brain is naturally registering your body language and facial expression. If a psychic is not very good at separating the two, it can actually interfere somewhat with the accurate psychic information she is receiving. However, some people still prefer in-person readings. Some people are more comfortable seeing the psychic that is reading for them. I’m happy to serve you either way!